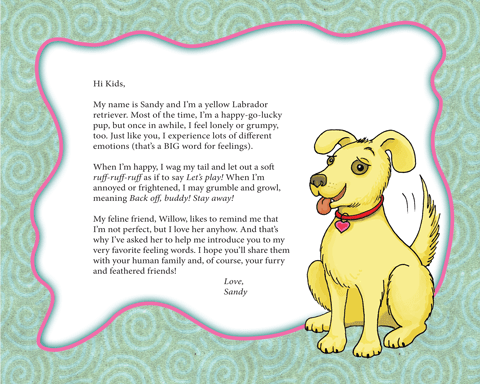 Filled with humor and whimsical illustrations, this enchanting and educational A-Z guide takes young readers on a journey through the alphabet with Sandy, a lovable Labrador retriever, who shows kids that animals and people share many of the same feelings. For ages 4 and up. Animals Have Feelings, Too! 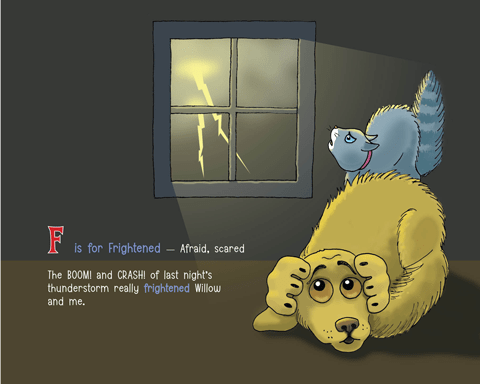 is available in hardcover, paperback, and as an eBook for your Kindle, SmartPhone or other electronic device. 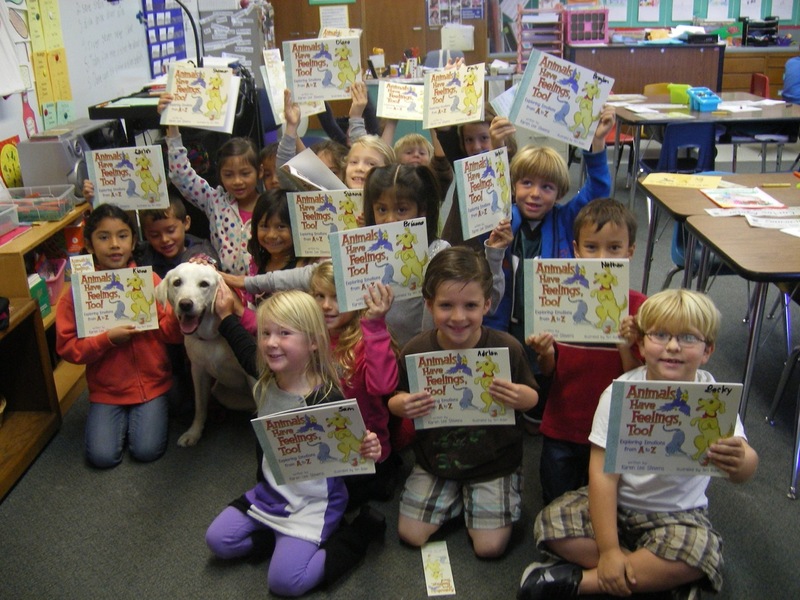 Click here to order your copy from Amazon! For information about quantity discounts, please contact us. 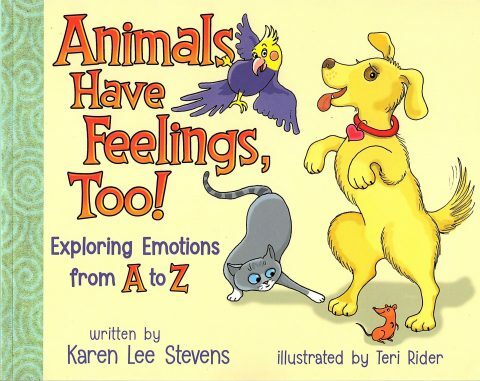 Click here to download a FREE Animals Have Feelings, Too! coloring page.